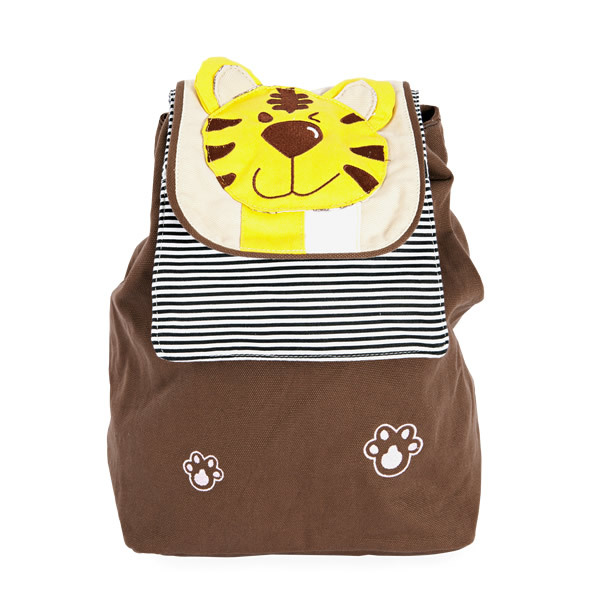 Toddler bags look great on little boys and girls and this bag’s cute and cuddly looking design is carefully handcrafted to suite kids’ fashion taste. Kids will surely love the bag’s cute and fun look. Perfect for their busy and active school life and even outdoor activities with friends and families. It can perfectly serve as a school book bag, too! Add fun to their school life with this bag where they can carry a lot of their school stuff. Its durable and carefully handcrafted canvas material is great to use as a children’s library bag or a simple book bag to carry more books. It’s a great way to encourage children to fall into the habit of being with books. Books are great source of knowledge. Kids can also use this cute-looking bag for travel where they can carry and store a lot of their belongings while they go out and have fun and be fashionable at the same time. Its durable canvas material can be gently hand washed. The cute and unique playful design is surely something that kids will love to be carrying around. Care and cleaning is easy so busy moms will not have troubles with this toddler bag.